HUDSON – Are you ready for some softball? It’s not often, teams can go 1-4-1 in a softball tournament and feel positive about their performance, but it does happen. Such was the case for the Grapeland Sandiettes softball team who recently competed in the Hudson Hornet Invitational. 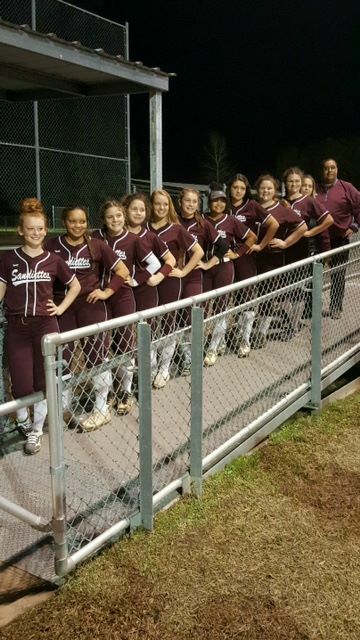 The Class 2A Sandiettes opened the tournament with a 1-0 loss against the Class 3A #9 ranked Woodville Lady Eagles and followed that up with an 8-0 win over the Class 4A Center Lady Rough Riders. On Day Two of the tournament, Grapeland faced the Class 5A Nederland Lady Bulldogs but fell by a final score of 2-0. In their second game of the day, the Sandiettes played the Class 3A Corrigan Camden Lady Bulldogs to a 0-0 tie. Day Three of the tournament saw the Sandiettes open the morning with a game against the Class 5A New Caney Lady Eagles and suffer a 6-1 loss. The Sandiettes lost a heartbreaker in the evening game when they fell to the #2 ranked Class 4A Hudson Lady Hornets by a score of 4-3. Following the weekend tournament, Head Coach Joel Barbosa spoke about his team’s performance. “I am so proud of their performance this weekend in the Hudson Lady Hornet Invitational. Even though our record may not reflect it, we represented our community well,” Barbosa said. The coach also gave special recognition to the team’s Offensive and Defensive MVPs. “I want to recognize Cierra Simon as our Offensive MVP of the tournament for batting .500 through the tournament. We faced some impressive pitching and Cierra was a force at the plate for us,” Barbosa said. “Cadie Belle was lights out and did a great job keeping those big sticks we faced off balance. I can’t wait to see what the future holds for this young lady. We gave up six runs in a wet and rainy game that made it very hard for Cadie to spin the ball but she never wavered and fought through the wet and cold conditions when others would have given up,” Barbosa said.